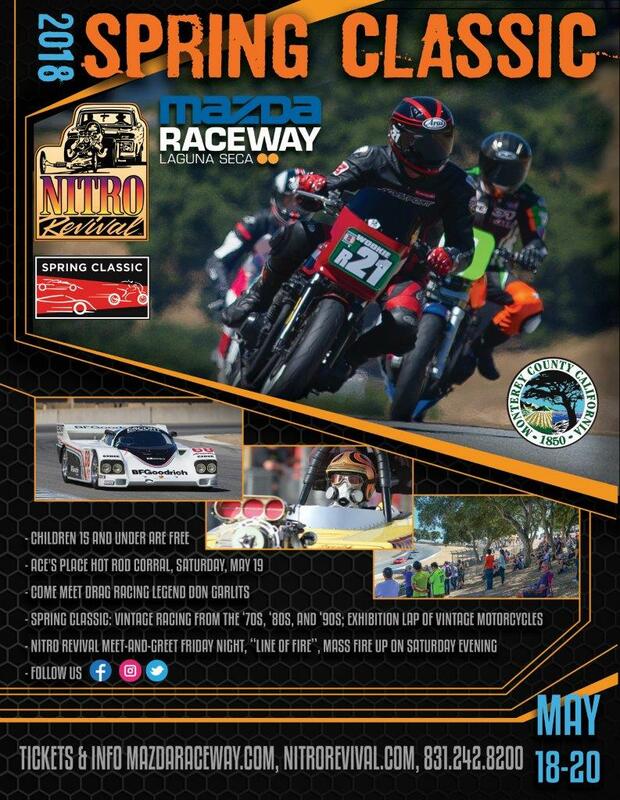 Spring Classic – 2018, May 18-20th, Monterey, CA: The Second Annual Spring Classic at Laguna Seca Mazda Raceway this year, will not only host the period ’70’s, ’80’s, and ’90’s classic car racing, Steve Gibb’s Nitro Revival exhibition with 50 cars, but also over 50 classic street and racing motorcycles. 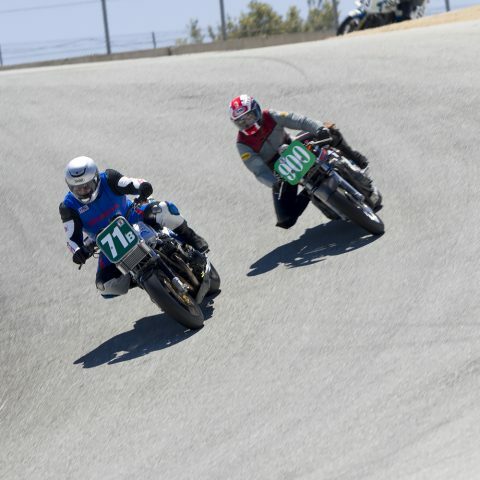 I am currently working with Laguna Seca in organizing the motorcycle portion of this event. We would like to see a great turn out and show of support this year from the classic motorcycle community. 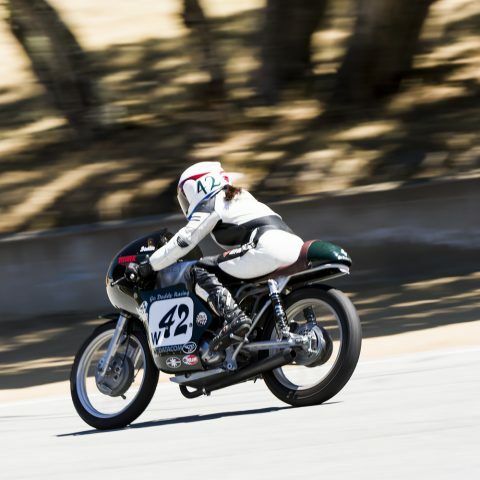 The goal of is to have the Spring Classic, which is an eclectic and laid-back spin-off of the Monterey Historics classic car racing, expand the program to include classic motorcycle racing next year. 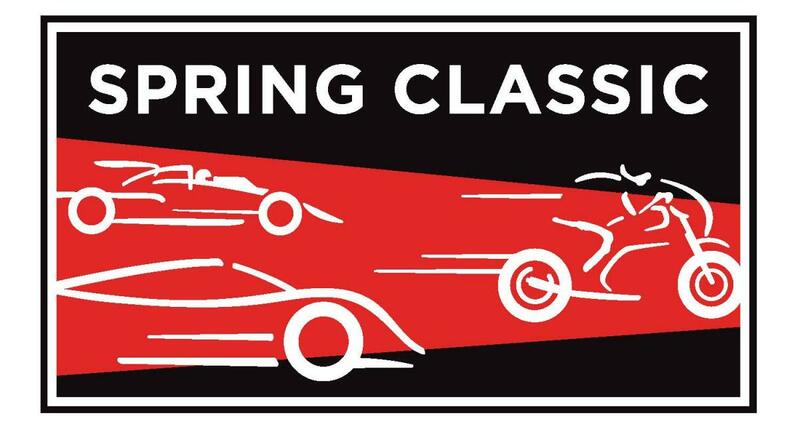 There are international classic racing teams interested in attending, as well as West Coast based AHRMA, WERA, and AFM classic racers who are attending the exhibition this year to help get the word out, and a show of hands of those interested as we start the ball rolling. We gathered a dozen bikes last year with 10 days notice! We want you to be a part of it this year! Ride, show, spectate, sponsor or all of the above! 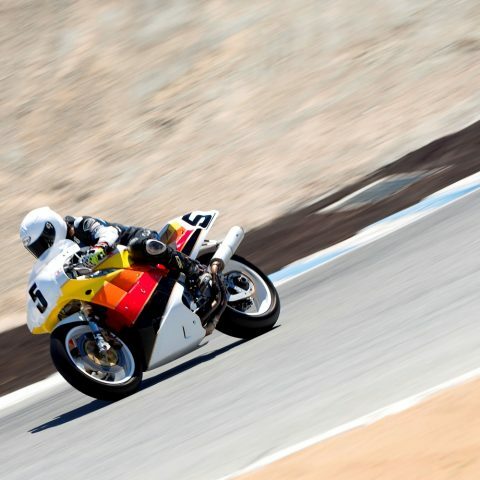 Classic Racing Motorcycles – An exhibition of 30-40 race bikes to participate in one 20-25 minute on-track exhibition session before lunch, Friday, Saturday and Sunday. 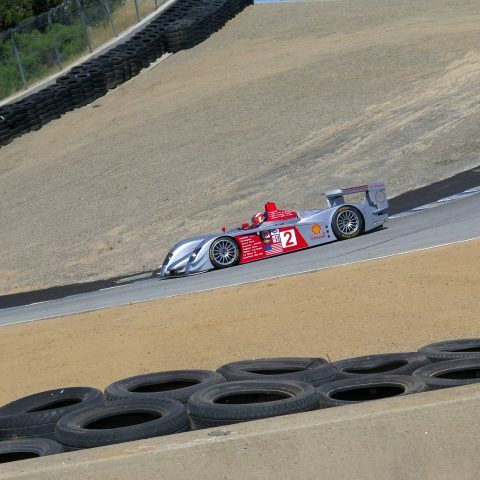 Cost is $100 for all three days for on-track participants. 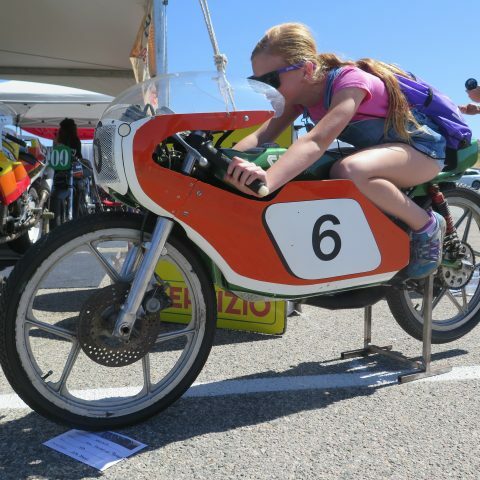 We are looking for 1965-1995 year race bikes, this is a no sound limit event. 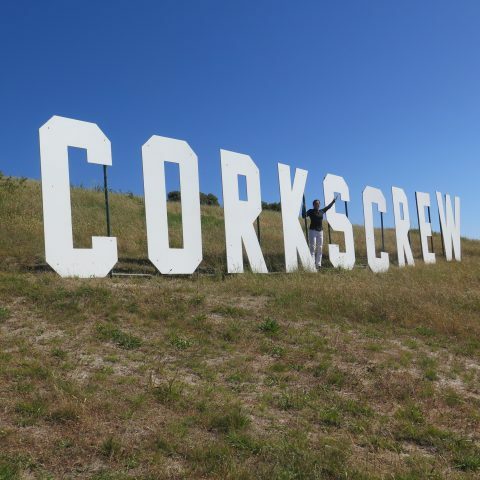 Racing provenance preferred but not required. Awards for best prepared bikes, criteria to be announced and determined by sponsors. Bikes will be located in the paddock pit area and a secured covered tent will be provided for the length of the event. All riders are expected to participate all three days on track and be ambassadors to motorcycling. The aim is to attract classic motorcycle enthusiasts, and recruit new ones. 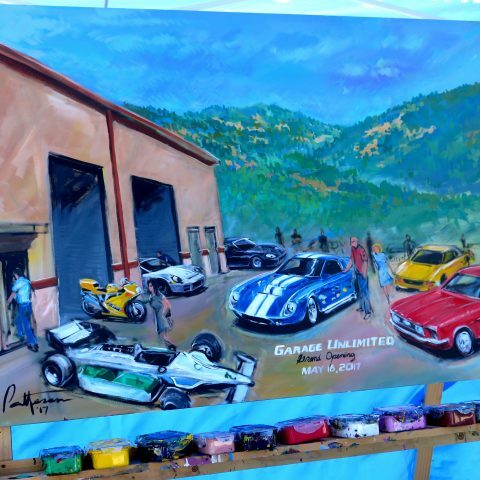 Contact Ardelle@mazdaraceway.com if you would like to register. Classic Motorcycle Display – Motorcycles up to year 1995 will be housed in a secured covered tent for the length of the event. Awards for category best bikes and the participants are encouraged to decorate the display area of the bike with vintage memorabilia, banners, posters, helmets, leathers, etc.. Awards criteria for best bike and display determined by sponsors. Looking for 20 entrants who can participate all three days and be ambassadors to motorcycling and/or their respected motorcycle club if representing one. This is an opportunity for the people who are also experts in their fields of service or products, we are encouraging you to network with the public about collecting and maintaining classic motorcycles. 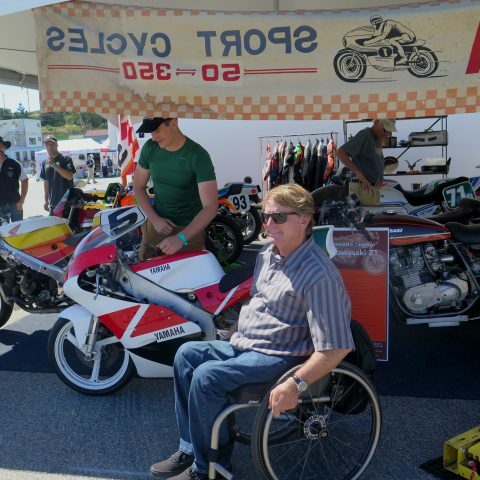 There was a lot of interest by the public last year both by owners and prospective buyers who expressed and interest in learning more and about acquiring classic motorcycles. 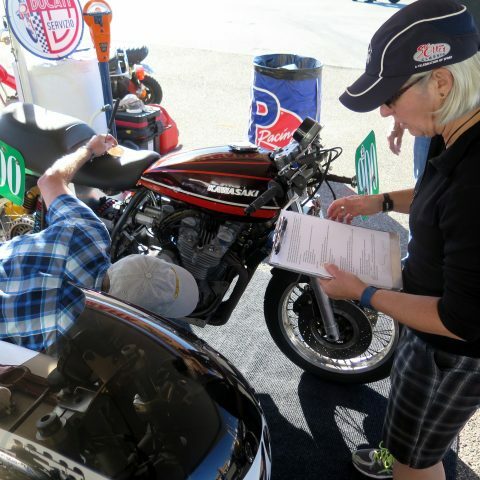 This year we hope to assist those with an interest in classic motorcycle ownership and recruit new riders to the sport. Contact Wendy@helmetsnheels.com to show your classic motorcycle. Parties! – Friday evening is a Welcoming Party for all participants and vendors. 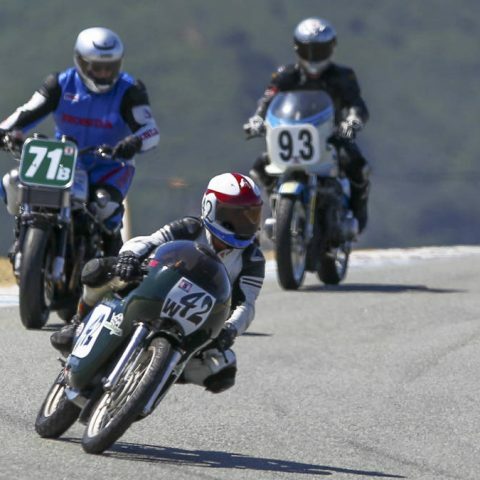 Saturday afternoon will be a Spring Classic Motorcycle Tour for those licensed street riders, starting at the Moto Talbott Motorcycle Museum in Carmel Valley, thru the valley countryside ending at the track. 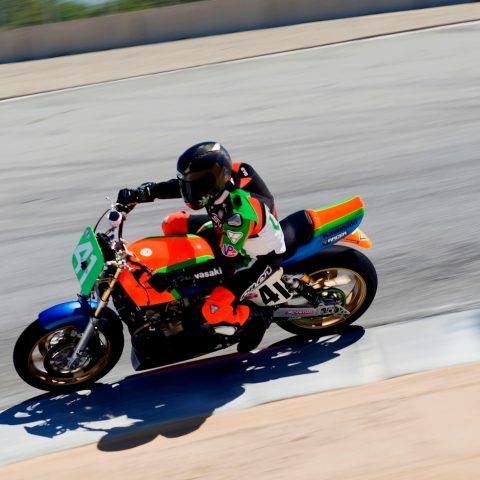 Saturday evening 6-9pm will be a MotoSocial party at the track’s Paddock Bar which will include a DJ spinning 70’s and 80’s tunes, awards for raffles, a Motorcycle Trivia Contest and the vintage “Rock Your Leathers Contest”. Nitro Revival will also be hosting “Line of Fire” mass start-up of dragsters Saturday night. 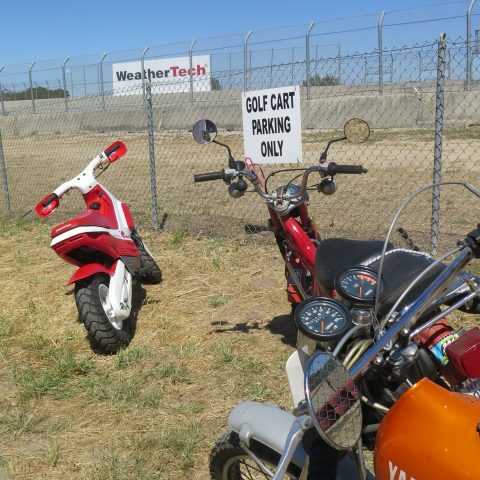 Parking – Motorcycle asphalt parking will be offered for those who ride a motorcycle to the event at the Tire Bridge and Parking Lot Concourse Awards daily for individual bikes, decided by sponsors. Sponsors Wanted! – We are actively seeking more sponsors for the motorcycle portion of the event in the way of category award sponsors, swag bag sponsors for participants event bags, raffles and display tents. Vendor space and advertising available on track, in the event program and on event website. Flexible and inexpensive advertising programs to fit all budgets. 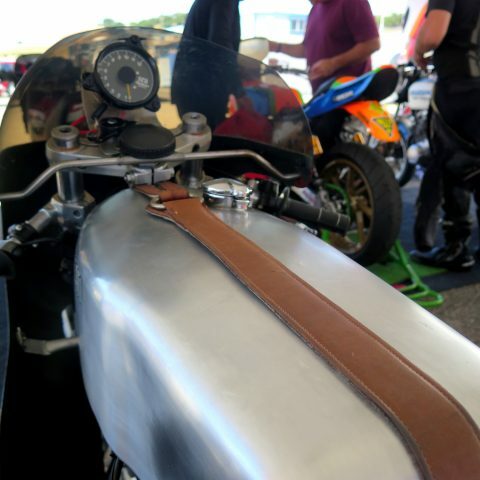 Aaron Tharpe is a motorcyclist and encouraging custom packages to help companies of all sizes participate in this event, a great time to get on board! 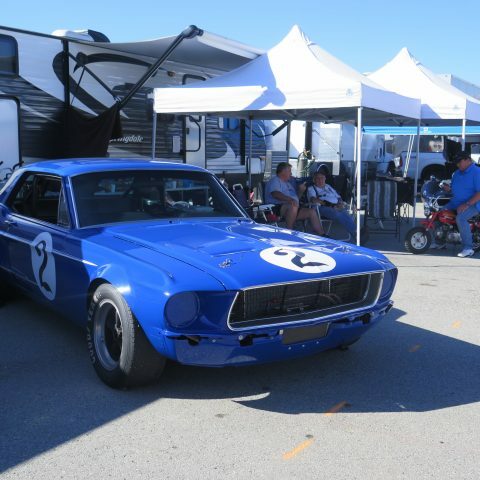 Contact aaron@mazdaraceway.com for sponsorship info. Register for Spring Classic -2018 Race Bike Exhibition: Deadline March 31st!! !